The design of the sports center follows the solution that was hidden under the layers of insensitive reconstruction of the postwar period. It rehabilitates the old building structures and develops them. By engaging the public space and the reinterpretation of original themes and morphology arises complex matrix of relationships and functional use. 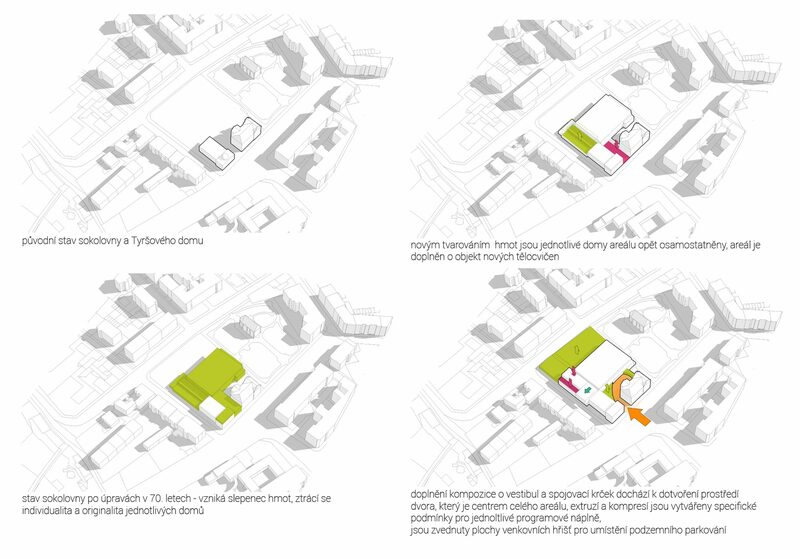 The proposal rediscovers self-standing volumes of Sokol gymnasium and Tyrš house, accompanied by expansion of the existing sports hall and new building of gyms. 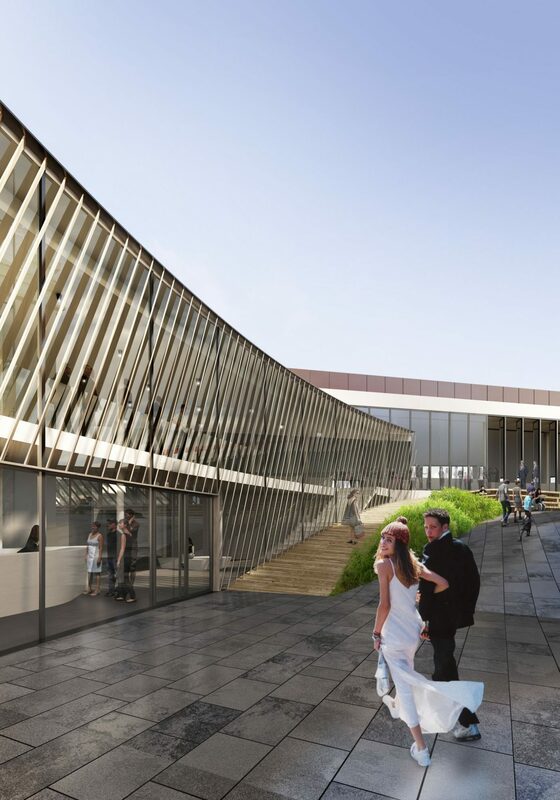 The emphasis is maximally put on maintaining individuality of the houses, which are supplemented with an epicenter – the courtyard with sloping amphitheater, which is supposed to be a social focal point, a place of expansion public space, meeting and incentive to generate social events. Engaging the public space into a seemingly monofunctional sports center provides added value and diversity to ensure utilization of space during the day, the week, or the whole year. Individual spaces should not be used only by narrowly specialized program, their contents should be varied depending on time. Area of ​​the main embarkation courtyard varies from place of quiet rest with a coffee in a busy amphitheater during sports or cultural event. The vestibule serves as a navigation and transit, but at the same time exhibition is easily accessible to passers-by. Sokol gymnasium – in its primordial essence – does not provide only physical education, but offers space for dance or concert.